Through The Clinical Testing Center of Beverly Hills (CTC), Dr. John Joseph is committed to the development of new aesthetic devices and products, topical drugs, and pre/post treatment applications. In his role as its Director, Dr. Joseph has consulted for and conducted Phase II, III, and IV FDA Clinical Trials and other type trials for leading cosmetic and device manufacturers, such as Medicis, Allergan, Inamed, Glycotex, Isolagen, ARTES Medical, Suneva, Collagen Corp., Elan Pharmaceutical, and Sanofi Aventis. Dr. Joseph’s expertise in the realm of FDA regulations and guidelines has contributed to the approval of many new aesthetic developments, procedures and successful outcomes. 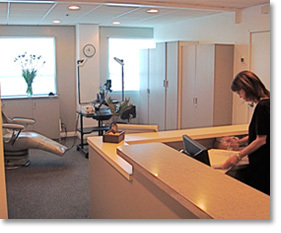 The Testing Center is the main treatment office located next to Brighton Medical Corporation, Dr. Joseph's AAAHC-accredited Surgical Center located in Beverly Hills. The Testing Center offers a full range of services, including Phlebotomy, 12-lead EKG, digital image patient photography, and temperature controlled and monitored refridgeration. Off-site storage is also available. A major benefit to the CTC, and contributing to its success and rapid subject enrollment, is its discreet access to thousands of patients databased in the doctor's medical practice. The Center’s staff consists of two RNs, a full-time Study Coordinator, as well as several ancilliary team members — all fully licensed, and certified with Good Clinical Practice for Clinical Sites training and SAFTPAK for the Shipping of Category B Infectious Substances & Dry Ice training. For further information on The Clinical Testing Center of Beverly Hills, contact information, Dr. Joseph’s CV, current studies, and directions to our facility and location, please use the links provided above.